There’s something quite magical and beautiful about the autumn time of year. 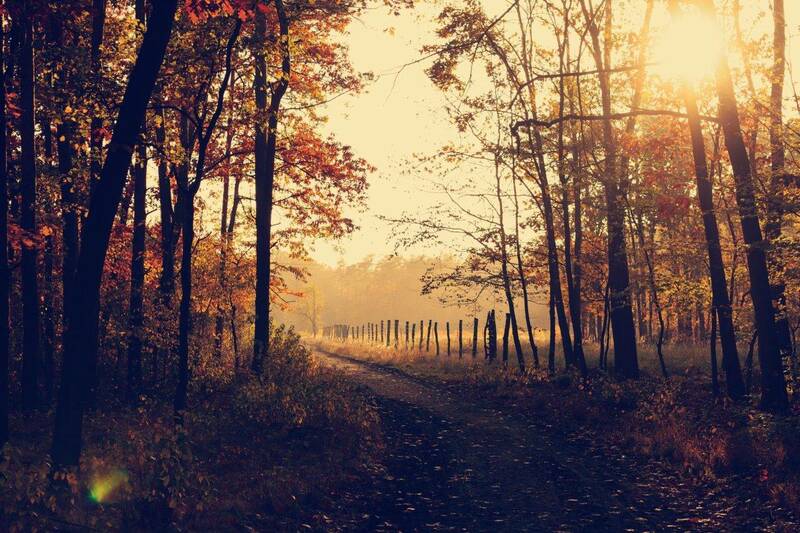 The sounds, the smells, the long, invigorating walks through fallen leaves and, of course, the colour. It’s the perfect time to explore the outdoors. Walks in autumn on Anglesey are a treat of autumnal colour and the sea is also at its warmest, and if you’re lucky, the Indian summer sunshine will keep you warm during daylight hours. In our latest blog, we explore the wonders of autumnal nature on Anglesey and have some activity ideas to keep your little ones happy and busy during the October half-term. With the arrival of autumn comes a very special time for one of the local’s favourite animals – the seal! Seal pups are born in autumn, and they will be in various locations across the island. Be sure to keep an eye out for some if you decide to head out on an autumnal coastal walk. We’d love to see some pictures if you manage to snap any! You’ll also be able to see both Dolphins and Harbour Porpoises if you head on over to the North Coast of the island. Hedgehogs are another animal who loves to venture out during this spectacular time of year. They’re most often found in the woodlands and avoid very wet areas. If you head to the woods, also be on alert for red squirrels who love frolicking in the crisp leaves during this season. Tip: to catch some red squirrels in action, try the National Trust gardens at Plas Newydd. In terms of birds, you can expect to find the likes of Great White Egrets, Little Stints, Curlew Sandpipers, Yellow-Browed Warblers, Osprey and Wryneck – which have all been recently spotted on the island. Get out those binoculars and go exploring to see what you can uncover. When the leaves turn from a vivid green to vibrant orange, yellows and browns, nature on Anglesey really is spectacular. Hawthorn berries are about, and these make great foods for birds if you want to make sure they get enough to eat now that the weather’s cooling! Also remember to keep an eye out for the Anglesey plants that we’re famous for including Black Bog-Rush, the Common Reed, Great Fen Sedge and Fen Pondweed. We love our nature on the island, and we just know you’ll love it too if you visit during the autumn months. 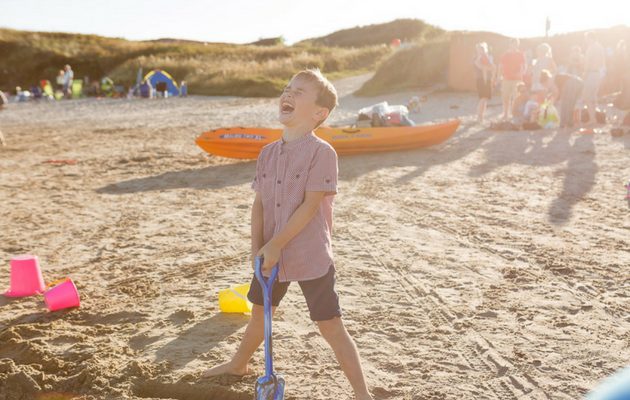 Autumn is a great time to have some fun with the children, and there are some lovely autumn themed activities that you can partake in whilst staying in your lodge at Silver Bay. Below we’ve gathered a few ideas to leave you feeling inspired – and they’re all easy to do. With all the lovely autumnal foods feeding through into our diets, it could be time to partake in some autumn baking! Favourites at this time of year include sticky toffee pudding, gingerbread biscuits and also pumpkin pies and cupcakes. Why not see what recipes you can find online on the BBC Good Food website? They have a great range available, so we’re certain you’ll find something tasty for you and your little ones to create together. There are plenty of wonderful walking areas all around Silver Bay that make for the most wonderful autumnal strolls. If you head out around the site you’ll be able to see some wonderful sights such as the photographs below taken by one of our lovely, talented residents! These photos are only the tip of the iceberg when it comes to natural autumn beauty on and around Silver Bay – so we recommend you go and explore yourself. And don’t forget to take your camera! Did you know that it’s really easy to make your own playdough at home? And now that it’s autumn, why not fill your playdough collection with autumnal colours of orange, golden yellow and soothing browns? Take a look at this recipe right here on AllRecipes.co.uk. All you need is 250g of flour, 50g of salt, 140ml of water and 1 – 2 tablespoons of cooking oil. Then you can add whatever colours you fancy into the mix for an autumnal playdough extravaganza! Halloween becomes more popular with each passing year – so why not go all out for 2016 and decorate your luxury lodge with some spooktacular decorations? Whether you encourage your little ones to create Halloween themed pictures or create bunting out of orange card (cut into pumpkin shapes, of course!) and string – it’s incredibly easy to decorate for Halloween. And don’t forget to pick up some pumpkins for carving. If you worry about your little one’s fingers when it comes to carving, why not get them to draw onto the pumpkins with markers and then cut them out yourself? There’s also a fantastic Silver Bay pumpkin competition running at the Halloween party, so be sure to bring your best carving efforts along for a chance to win. If you’d like to spend the autumn relaxing at Silver Bay, why not see what lovely lodges we have for sale? Explore our luxury lodge page or download our free eBrochure here. Any questions or queries? Give us a call on 01407 860 111. And if you’re looking for anymore autumn pass-time ideas, why not check out our spooky, Halloween themed blog? Now summer has finally packed its bags and moved on, we’re looking forward to one of our favourite seasons here at Silver Bay – the wonderful autumn in Anglesey. A season brimming with home comforts and some of the most beautiful scenery to grace our shores all year round, autumn can be the perfect time to get away with the family. If you’re considering packing up and heading to our wonderful haven during this time, then why not take a look below and discover some exciting tips about how to make the most of your break? Here at Anglesey, we’re proud of our nature – and what better way to become more acquainted with this than a lovely, autumn walk? Wrap up warm and wander through the likes of the ever popular Plas Cadnant Hidden Gardens (which are only open in October on Sundays and Wednesdays), or perhaps venture to the Holyhead Breakwater Country Park and experience some of the most amazing views you’ll find in Anglesey. You’ll need your camera for this one, trust us. Grabbing a tasty warm drink and padding through the orange and red leaves of the season really makes for an extra special afternoon – so don’t miss out. When people think of the beach, they usually see visions of beautiful sun-laden shores and ice creams – but have you ever tried visiting the beach during the autumn time? The crisp air and enticing sands make for a great place to relax and clear your mind no matter what time of year it is. If you’re coming to Anglesey to escape your fast-paced, everyday life, you won’t go far wrong with an out-of-season visit to the beach. 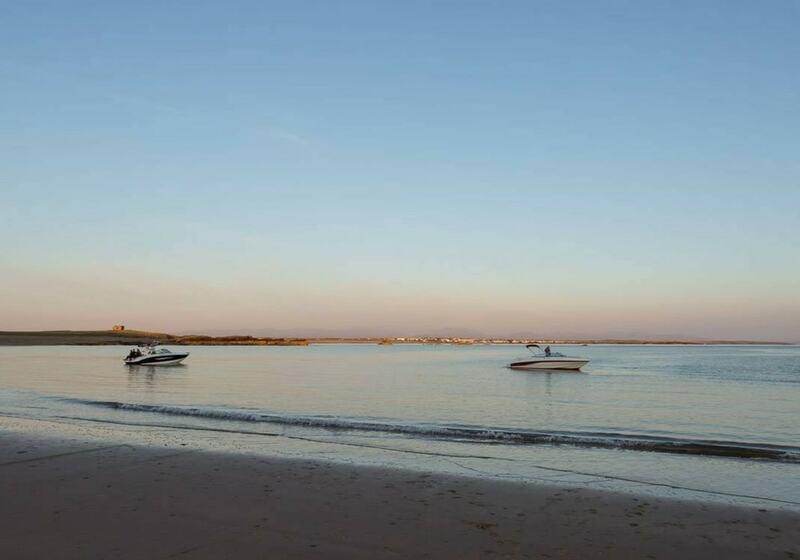 There are a few local ones that make for excellent attractions during this time of year, but we simply must recommend heading to our very own private Silver Bay beach whilst you’re in the area. Why drive when you have access to such awe-inspiring scenery right on your doorstep? With autumn comes a range of celebrations, and Halloween is fast becoming a tradition appreciated by many in the UK. Why not consider some spooky events whilst you’re visiting Anglesey? Plas Newydd is a beautiful country manner complete with gardens, but for Halloween it’s transformed into a spooktacular venue which promises a great night full of scary tales and pirates! But most importantly, we too offer a Halloween party for all to attend in our bistro, They Hay House. So grab the family, get dressed up and enjoy a night of great fun. If you don’t feel like heading outdoors during the autumn season, then why not keep cosy indoors? 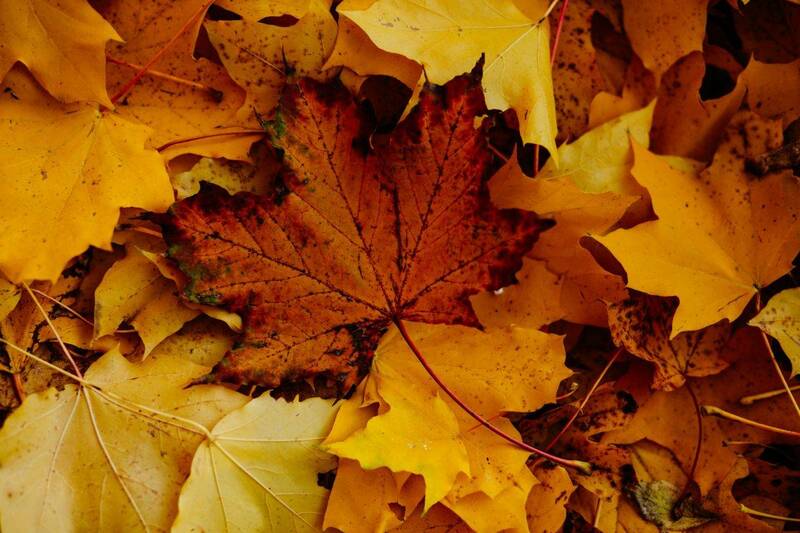 In fact, we’d say autumn is the perfect season to head to the spa and make the most of this time to relax. At our very own spa facilities in Silver Bay, we have a range of activities to indulge in. As well as two pools, we also have a jet spa, sauna, steam room, and a jacuzzi for you to unwind in too. But it doesn’t end there – we also have a gym and a selection of excellent spa treatments available that can be enjoyed on your own, or with a partner if you’re feeling romantic. The traditional cream tea has enjoyed somewhat of a revival in recent years, and Anglesey is the perfect place to indulge in scones, cakes, sandwiches and tea. There are plenty of establishments that can fulfill your afternoon tea desires. These include the likes of The Outbuildings and Chateau Rhianfa, who both offer excellent facilities and tantalising cream teas that you’re sure to love. If you’re faced with a particularly chilly autumn day and would rather remain inside, an excellent place to visit for a slice of history is the Beaumaris Gaol prison museum. The prison hails from the Victorian era, and it’s filled with information about what life was like in a prison during this time. Make sure you have a good, thorough explore if you choose to visit this attraction in autumn. It’s something everyone in the family can enjoy, and it’s educational too. The funfair at Menai Bridge is a returning once more this year. It will be held from the October 23rd through to the 24th on Water Street, Wood Street and Telford Road. This is an ancient tradition in Anglesey, and the first event dates back to 1860 when there were local cattle markets held every year. The funfair is a great chance to explore a range of enticing stalls and exciting rides, and it’s something that people of all ages will be able to appreciate and enjoy. Why not head over for a bit of autumn fun? We hope you’ve been inspired by our list of autumn attractions and are able to use them on your next break in Anglesey. Are there any events that you think we’ve missed off? What’s your favourite thing to do in Anglesey during this season? Get in touch on Twitter or Facebook and join the discussion – we’d love to hear from you. Or if you’d like to some more advice about visiting Anglesey, be sure to check out our blog.